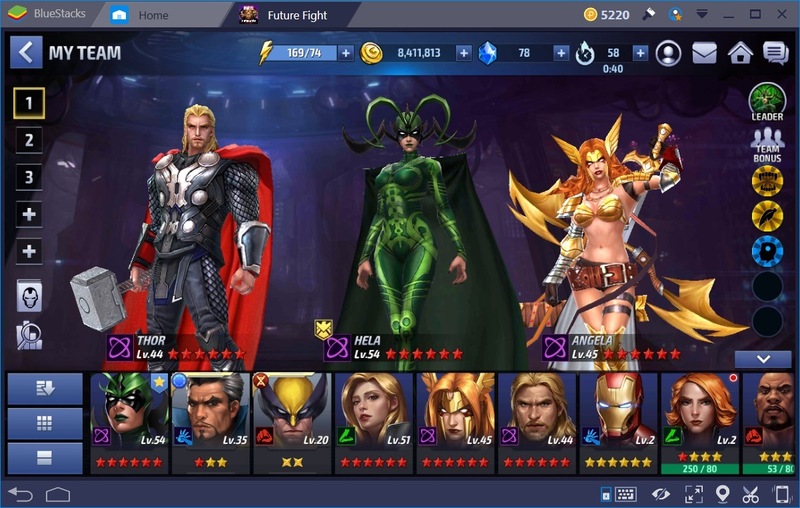 Netmarble put together quite a sizable game with Marvel Future Fight. In fact, the different aspects of the game can definitely keep you busy for hours on end!! In order to play in many of those aspects of the game, you need to use energy. Energy is just the name of the resource. Other games call it “stamina”. 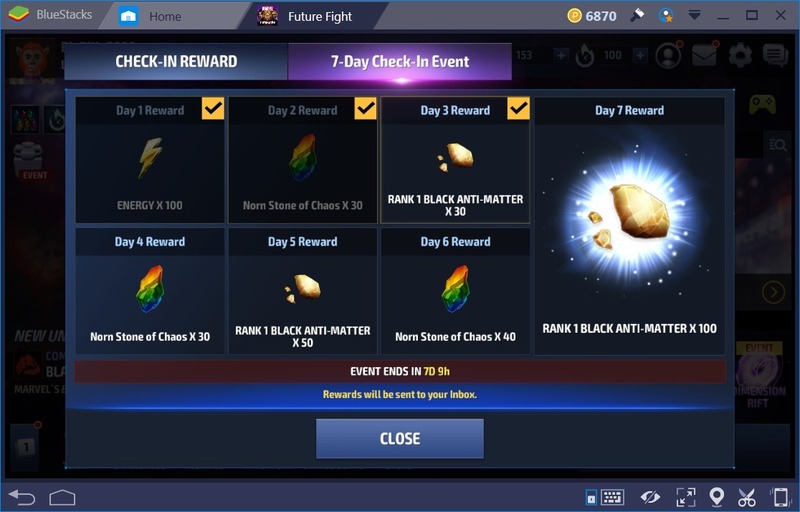 Each part of Marvel Future Fight that requires energy has a different amount needed to play. Some parts of the game only need 3 energy and others would need 10 or more. Energy will refill/regenerate over time. You’ll regenerate 1 energy every 5 minutes. The problem is: you really don’t have a high energy limit until you get to much higher levels. Unfortunately, you will have a high need for energy. In the screen shot above, you can see that at level 41, you only have 89 energy at the maximum. That can vanish awful quickly!! Try hunting for biometrics using the Clear button and see if you doubt how fast your energy can vanish!! The good news is that the game allows you to have more energy compared to your current energy limit. This guide will show you the various tips and tricks for gaining energy. Where can we get more energy? 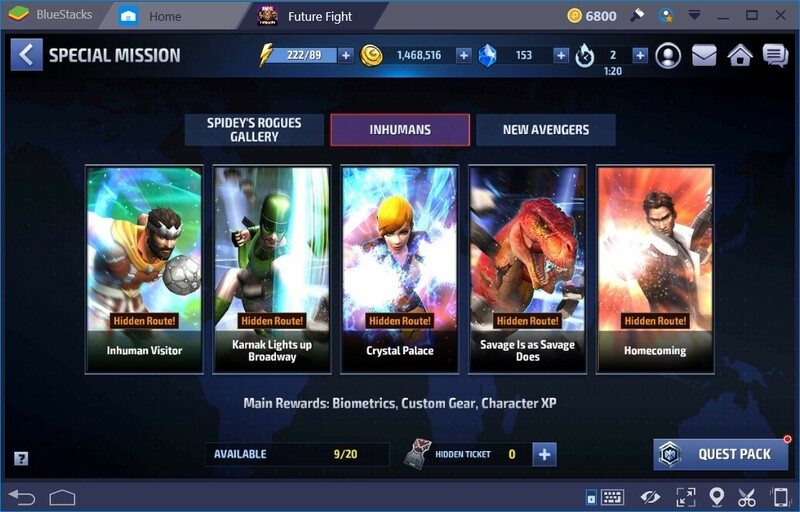 Marvel Future Fight thankfully has various methods, many of which won’t cost you much of anything, to gain more energy. The first method is simply to login to the game!! The Check-In Reward gives you free energy once or twice a week depending on which week you’re on. 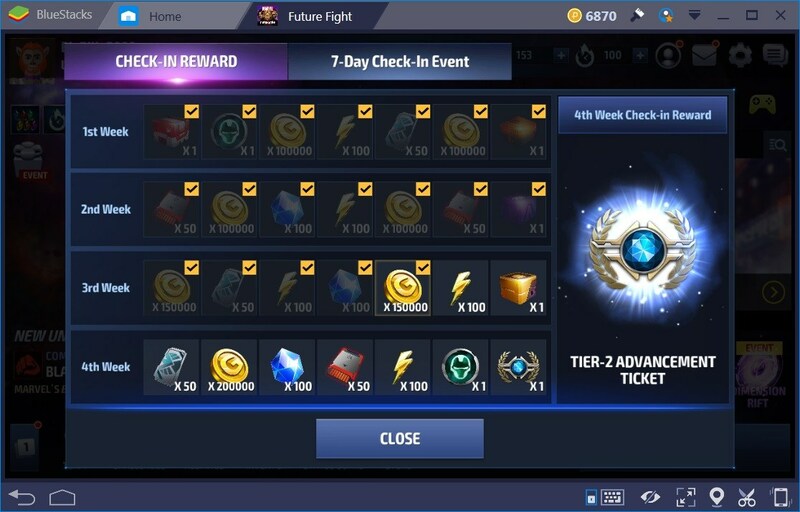 The 7-Day Check-In Event gives you free energy on the first day. They are both free energy gains but the problem is that they’re not daily constants. That’s what you need to be able to keep going in the game. Another good source for energy gains is in the Challenges section. The Daily tab has random daily quests that you can complete and gain energy. On the left, you have a series of 30 daily quests setup so that if you complete 24 in total, you’ll gain 150 energy. Don’t worry since you have a week to complete the quests and gain the energy. Just note that the setup on the left isn’t a daily constant like the one on the right. The trick here is to complete these daily quests using minimal tactics. That way, your energy spending won’t overshoot your gains. For example, one of the daily quests is to complete a Story mode map, any map, just 1 time. So find ANY Story mode map that only uses 3 energy and Clear it 1 time!! That’s a 12 point energy gain. Others as showing in the screen shot above don’t even need energy to complete. 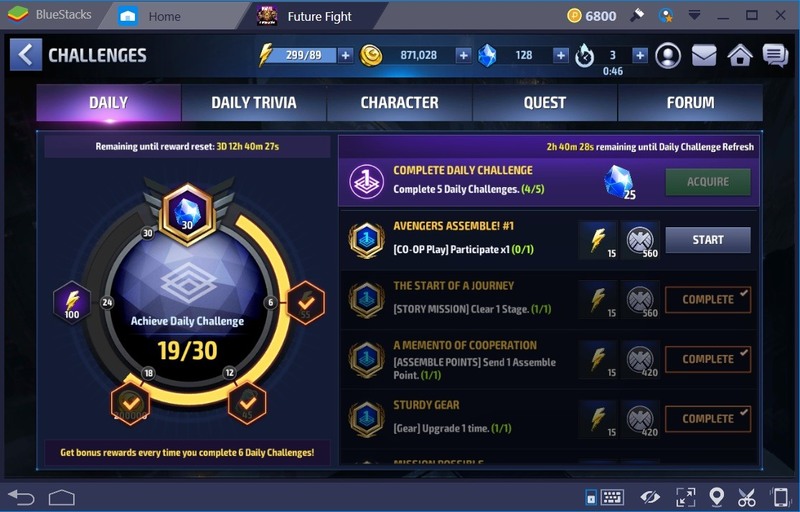 The Daily Trivia tab gives you 25 to 50 energy for free. All you have to do is answer the questions correctly. Here’s a tip to help you out: Click the HINT button if you don’t know the answer!! So yeah, more free energy!! The Quest tab also has energy gains but again, they’re not daily constants. They’re useful so the recommendation is to look into them and see what you have to do. Having lots of friends or a full friends list comes in handy. Especially if those friends in your list tend to send Assembly Points every day!! In the middle of the Recharge shop of the Store, you can trade Assembly Points from your friends for energy. As showing in the above screen shot, it’s not so cheap but it’s still a free gain since all it took was sending and receiving Assembly Points. All that took was the time it takes to fill up your friends list!! 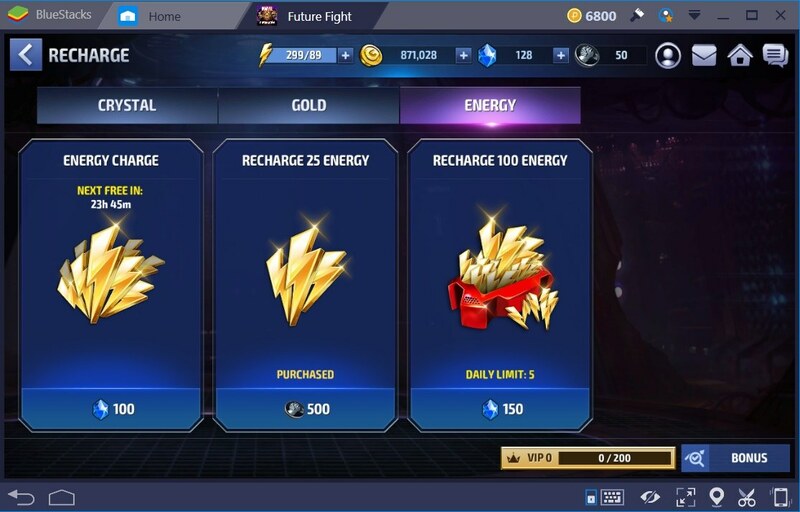 Also in the Recharge shop is the daily free energy charge. The trick to it is to wait for the red dot to show up on your energy resource in the top middle of the game screen. You can’t gain the daily free energy charge IF you have full energy or more. Once that red dot is there you have to carefully use your energy for anything. Your aim is to get JUST under the maximum limit of your energy. Showing in the screen shot above, the current energy limit is 89 at level 41. So if that energy was used so there would only be 85 to 88energy left that would be perfect for collecting the free energy charge. Of course you can spend crystals to gain energy but the recommendation is that you don’t!! 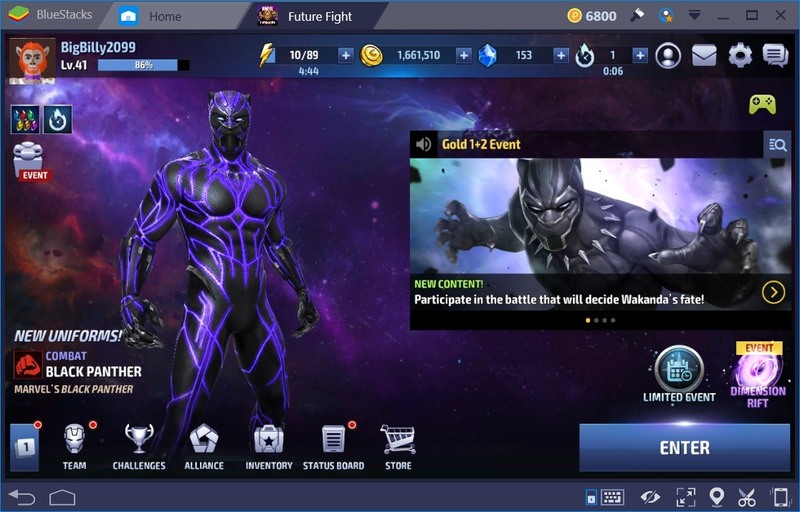 After you get going in Marvel Future Fight, at a certain point you’ll be able either join or make an Alliance. Once you’re in an Alliance, you have to donate to it. 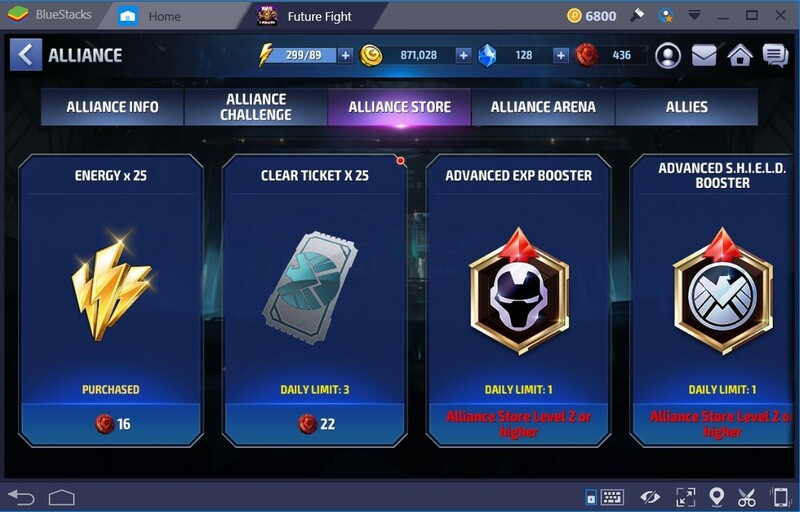 As showing in the above screen shot, you’ll get tokens you can use to spend in the Alliance Store. You only have 3 chances to buy 25 energy per day so it amounts to 1 million gold = 75 energy to start. That 1 million gold donation to your Alliance can get you enough tokens to buy energy for several days. It’s only 16 tokens for each energy purchase!! The best bet is to buy energy here right after completing all the Daily Quests from the Challenge section. Special Missions give energy as part of the rewards. The problem is that you’d get them as soon as you complete each quest so it’s not a daily gain setup. But there is a bit more to it in the gains so it’s worth it. Have a look at the bottom right of the game screen in the Special Mission section. Once you have a Quest Pack selected, you can gain energy. 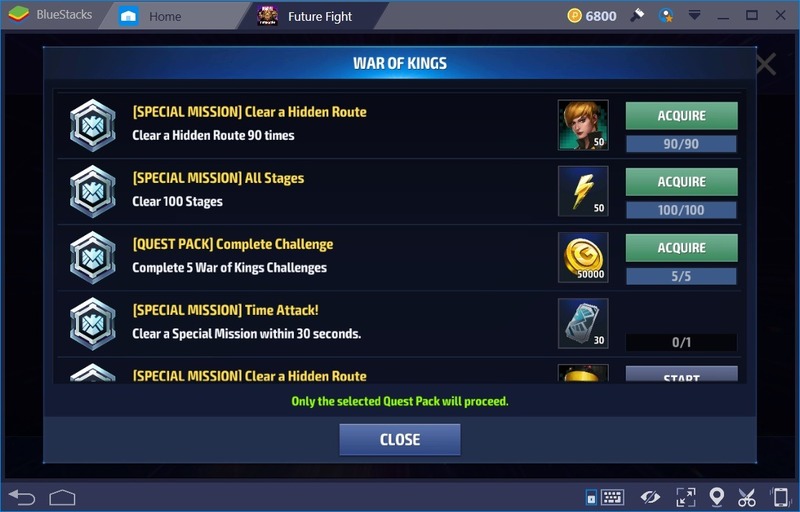 Just make sure you check the Quest Pack to see what’s involved and what the rewards are first. There’s always the chance that there’s something else in there that you might want to gain. Ultimately, this or at a higher energy amount is where you want to be sitting as showing in the screen shot above. 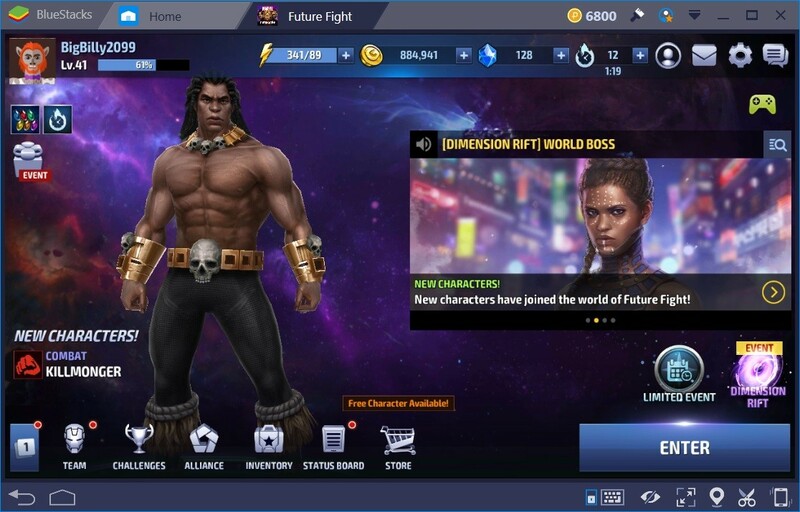 Marvel Future Fight doesn’t always make it easy but it is possible. Then again, the energy gains not labeled as “absolute giveaways” too!! Are there any other tips to help out with the energy? Not every part of the game requires energy. You could take some time and play in those sections of Marvel Future Fight while your energy regenerates. For example, the Co-Op mode doesn’t require energy. Although it does require certain characters at random, you can spend time in there and let your energy regen. Another example would be the Timeline Battle. That’s another section that doesn’t require energy to play it. Of course, without a really great team, it can be difficult in there!! Take a look at the last screen shot above. In the upper middle right of the game screen is the Boost Points. Like energy, they’ll also regen over time. But when you do have enough Boost Points to cover what you’re doing, it provides an energy cost reduction. The recommendation is that if you have enough crystals, go ahead and recharge Boost Points to get to higher ranks of it. The other bonuses involved with Boost Points help make it more worth recharging too! !